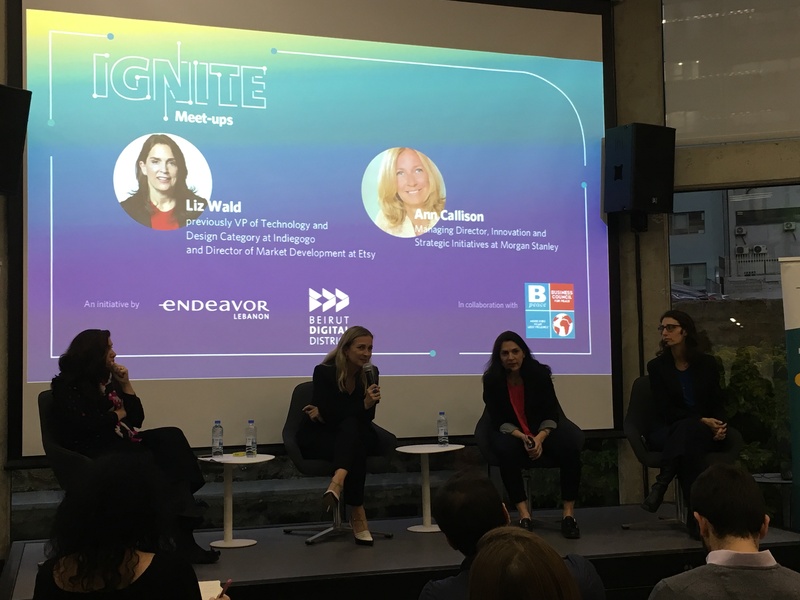 Endeavor Lebanon kicked off the year with IGNITE Meetups, featuring two Bpeace Board Members Liz Wald, former VP of Technology and Design Category at Indiegogo and Director of Market Development at Etsy, and Ann Callison, Managing Director, Innovation and Strategic Initiatives at Morgan Stanley. They shared their experiences with the audience, and gave tips to entrepreneurs with common challenges during a Q&A session. 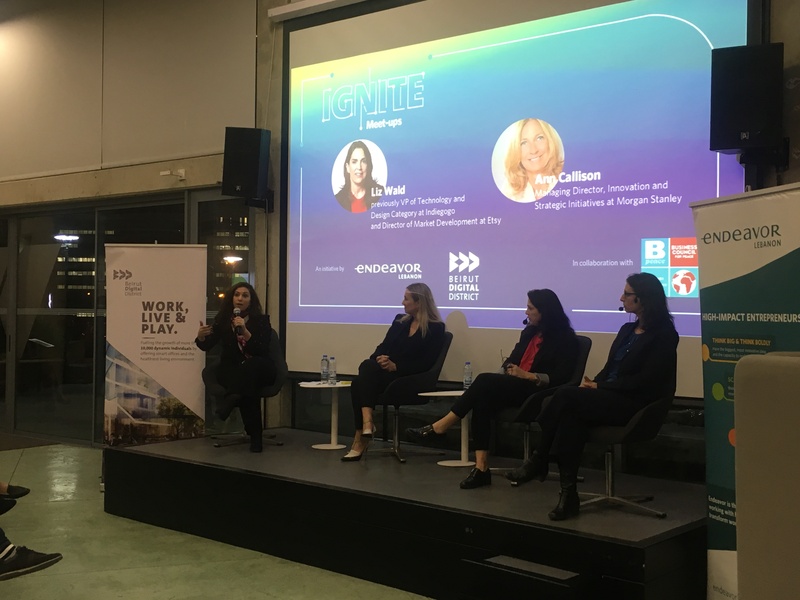 Endeavor Lebanon also announced their partnership with Bpeace, who will give Endeavor Lebanon Entrepreneurs sustained access to Skillanthropists to maximize the innovation and growth potential of their businesses. 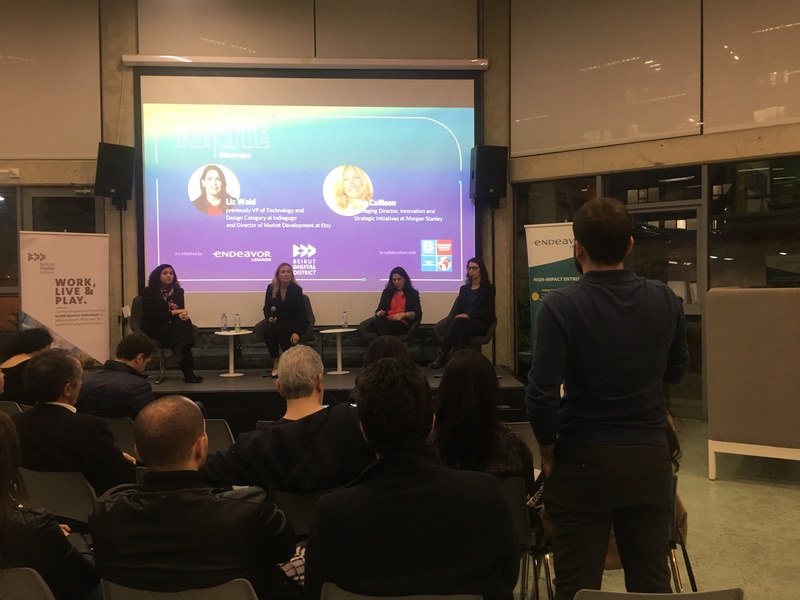 “We’ve partnered with Endeavor Lebanon because they know the market and can identify who we can match with,” said Liz Wald. “There’s a lot of impact in Lebanon and we want to be part of this movement,” added Ann Callison. The event was co-organized by Endeavor Lebanon and Beirut Digital District, in collaboration with Bpeace.